I have never taken the time for a girls’ weekend with friends. I’ve done girls’ night out, lunches, breakfasts, and day outings, but never an extended period of time, with just my girlfriends. I’ve been married for 14 years, come this October. Those of you that have had girls’ weekends, bravo! The truth is, life is so busy, it’s difficult to find the time. With our family, we treasure travel time, and each weekend together, and work to maximize our moments together. With family as our primary priority, fun extras like a girls’ weekend, tend to get pushed further down our list. I was thrilled to participate when Choice Hotels said they want to get people out there, into one of their 5,000 locations across the US, and connect face-to-face. You can do the same. Remember to sign up for a free membership with Choice Privileges and start earning points, and perks, with your stays. So being forced to get out of our routine, and get together with my friends from middle school days, was invigorating. 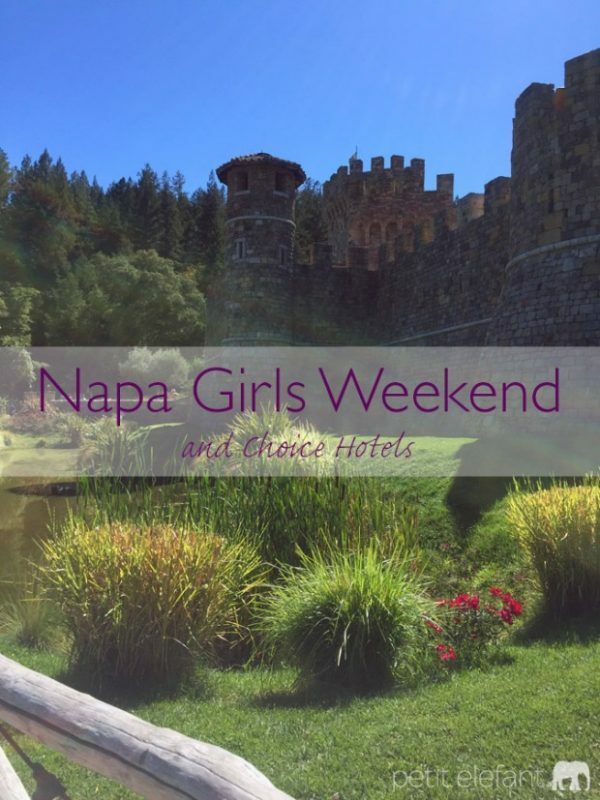 Most of us hadn’t had a girls weekend, since we’d been married, and the trip to Napa was the first for a couple of my friends as well. My friend Grace even made the trip, despite the fact that she’s still nursing. I’m very grateful that they took the time, and that our spouses created the space for us to reconnect with each other. I’ve known Grace, Frances and Mia since middle school. We also attended high school together, until I moved the second half of sophomore year. I find it rather miraculous that even before the Internet age, and Facebook, we still managed to keep in touch with each other. I remember a high school English teacher who I was slightly terrified of, but admired, because English was always my favorite subject. She told us in class that the friends we made in high school, didn’t matter, we wouldn’t ever stay friends with them again. I remember hearing her say that, and desperately wanting to prove her wrong. I like to think this weekend totally fulfilled my goal. I hope that my daughters grow up to have good friends like mine, where they can be comfortable in their own skin, and pick up like no time has passed. 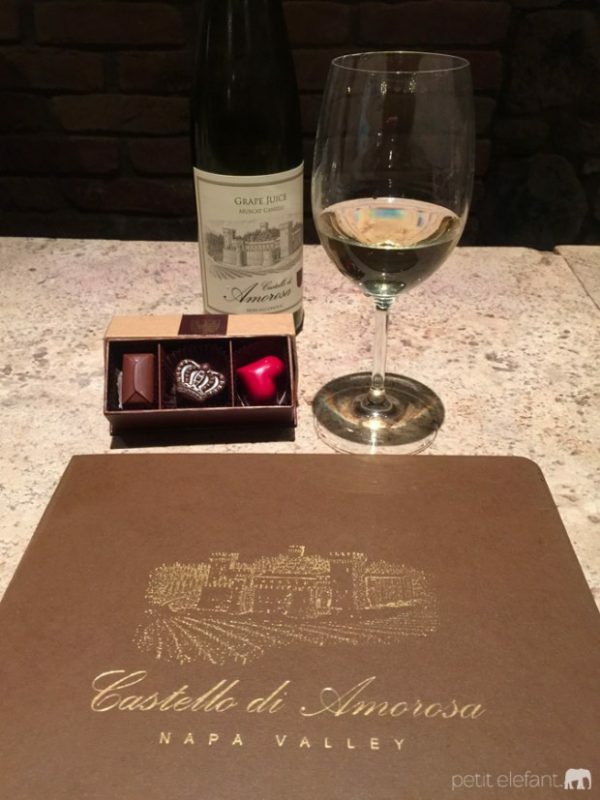 I had heard of the castle winery in the Napa area, Castello di Amorosa. I don’t drink, so I thought that setting would be perfect for my friends interested in wine and wine tasting, and myself who loves old buildings and the history side of things. For those of us that don’t drink, the wineries have grape juice, and it is delicious grape juice. In fact, I brought home two bottles to share with my family. We were told to bring sweaters for the guided tour with chocolates, as they take you into their cool basement areas, where approximately, 3000 barrels of wine are stored. 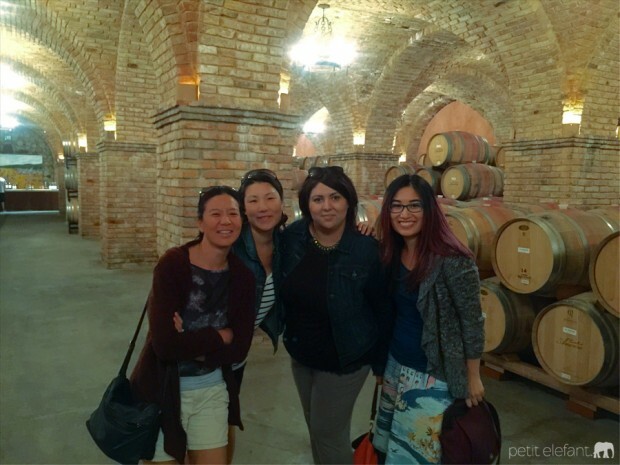 My friends tasted the wine from a barrel, and enjoyed many varieties of wines after the tour. It was fascinating watching how the guides conducted the tastings. My friends let me smell their wine. I had no idea that wines could smell fruity, and others more yeast-y. Is that even a word? 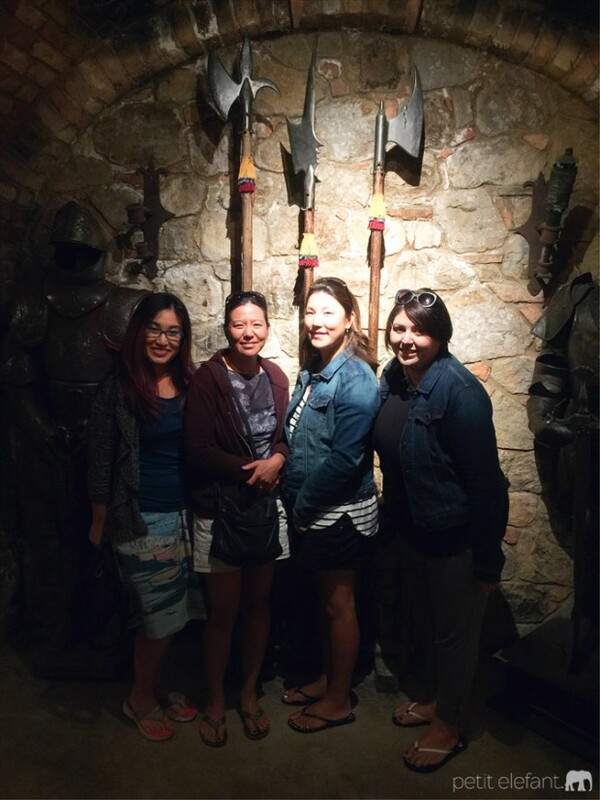 After the wine tasting we traveled about 10 minutes from Castello di Amorosa to Calistoga where we tried mudding for the first time at Golden Haven Hot Springs Spa and Resort. Let’s just say it was an experience. Frances and I tried the mud, and Mia and Grace had facials. I had no idea you actually float a bit on top of the mud. When you get in, you have to wiggle your naked self into the dense mud. The mud is full of minerals, and the water is about 150 degrees. So you’re only immersed in mud for about 12-15 minutes, due to the heat, and let me tell you, that is enough. It gets hot. The smell of the minerals takes some getting used to, with mind over matter. The technician brushes a mud mask over your face, and places a cold towel on your forehead. They provide plenty of water, and by the end of the mud soak, you’re ready to get out and rinse off. 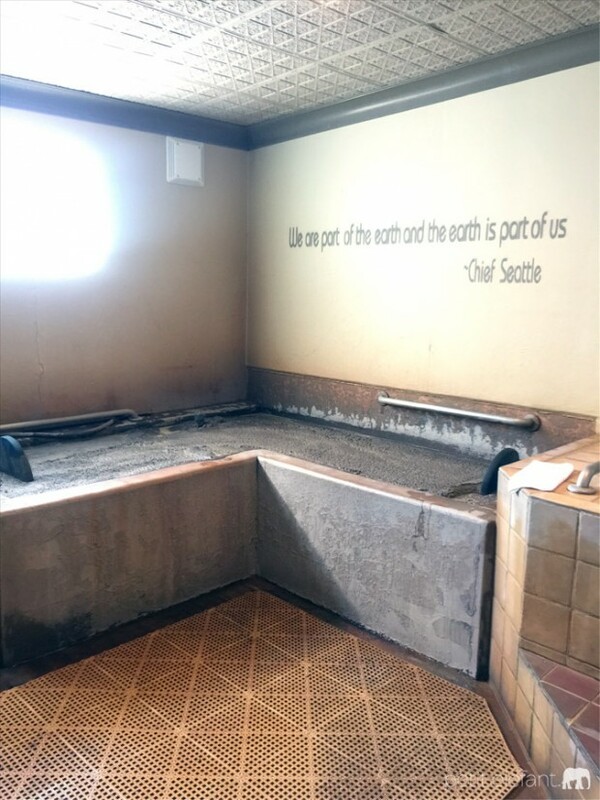 Once the mud is off, you get into a hot tub and soak for another 12-15 minutes. Then you’re taken to a cooling off room, where they wrap you in blankets, and it’s dark and relaxing. Frances and I opted for a short massage and that was my favorite part. Would we do it again? I think we both agreed that it was fun to see what the fuss was all about. We were very relaxed after the procedure, and our skin felt nice and smooth. We ended our Napa girls’ weekend with a trip to Oxbow Public Market. Oxbow is a 40,000 square foot marketplace filled with artisans, organic, sustainable, and locally sourced food, as well as a mix of shopping. I highly recommend visiting if you are in the Napa area. For those of you that have been to the Ferry Building, Oxbow is similar, with high quality eats just like in San Francisco. We had dinner at Chef Todd Humphries, Kitchen Door, which originally had a wait time of 45 minutes, so we just went to the bar area, and were able to get full dinner service. Plus, sitting at the bar you get to watch the busy kitchen staff prepare all the food, which for us, was like dinner and a show. The food was fantastic, and the setting was welcoming. 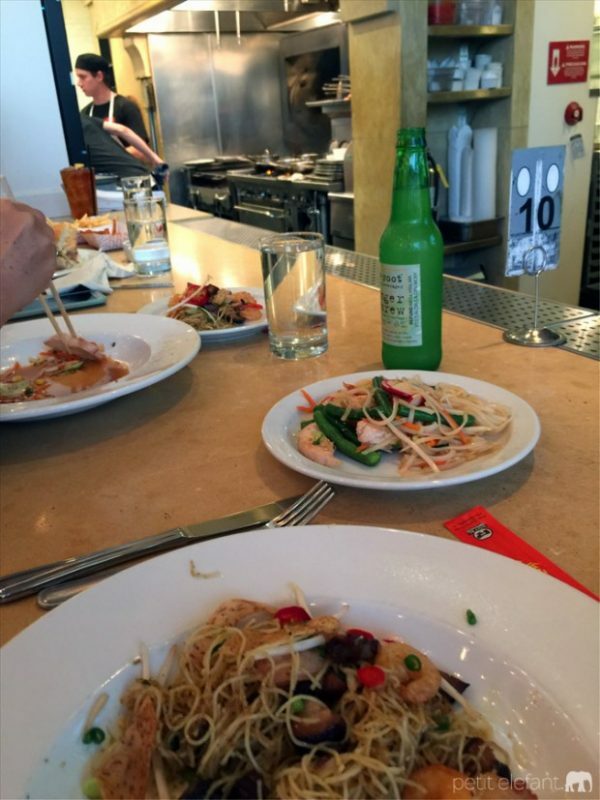 If you have a party of eight or more, you can make advanced reservations. After this weekend together, we all agreed that we needed our girl time with Choice Hotels, this time to really connect with each other. As our kids get older, we’re able to take some time away for ourselves, and for each other. Yes, we love that we can keep up with each other over text, Facebook, email, etc., but there’s something about spending an extended period together that opens opportunities to share old and new inside jokes, concerns, advice, and revel in each other’s company that you wouldn’t ever achieve with technology. So, grab your girlfriends, and force yourselves to getaway, it may very well soothe your soul. If you were planning a girls’ weekend, where would you go? Where have you been? We’d love ideas for future trips! Thank you to TapInfluence and Petit Elefant for starting my friends and I on what we hope will be a yearly tradition. In full disclosure, Choice Hotels paid for portions of this trip, which included our stay at Comfort Inn Cordelia, in Fairfield, CA. Text and opinions are my own.